Last week I talked about how Wood and Wire have a punk rock energy to their bluegrass. 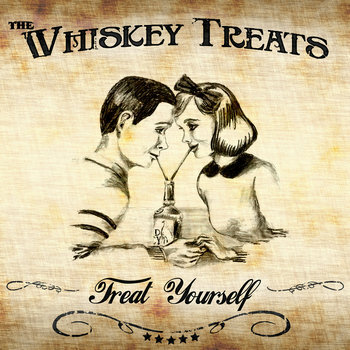 Conversely, the Whiskey Treats bring bluegrass to their rowdy punk rock. The Denver-based band brings a lot of good cheer, mandolins, and finger-picking to this 6-song EP that promises more good things to come. Their chemistry certainly isn't moonshine -- it's the real deal. Oh yeah! In case you don't follow my Twitter feed religiously, Musicians Empowered listed me as one of their top 100 music blogs on the whole Internetz (for 2015.) I don't really win things so please allow me to brag. Thanks, Sarah!